I have listed a new property at 703 7090 EDMONDS ST in Burnaby. STUNNING 2 bedroom CORNER unit with floor to ceiling windows for lots of natural light! Bright and spacious open floor plan, sleek kitchen with stainless steel appliances, built-in microwave, convenient breakfast bar, living room with cozy fireplace and wall of windows. Covered corner balcony – perfect for entertaining! Bright Master with walk-in closet and large ensuite. Enjoy the amazing amenities including fully equipped fitness centre, lounge with kitchen, bar and pool table, meeting room, hotel-style guest suite plus expansive terrace with play area. Great location! Walk to Skytrain! Close to parks, shopping and restaurants. Short drive to shops and services of Kingsway and Metrotown. Please visit our Open House at 703 7090 EDMONDS ST in Burnaby. Bright and Spacious 2 bedroom CORNER unit with floor to ceiling windows for lots of natural light! Featuring an open floor plan, sleek kitchen with stainless steel appliances, built-in microwave, convenient breakfast bar, living room with cozy fireplace and wall of windows. Covered corner balcony – perfect for entertaining! Bright Master with walk-in closet and large ensuite. Enjoy the amazing amenities including fully equipped fitness centre, lounge with kitchen, bar and pool table, meeting room, hotel-style guest suite plus expansive terrace with play area. Great location! Walk to Skytrain! Close to parks, shopping and restaurants. Short drive to shops and services of Kingsway and Metrotown. *OPEN HOUSE* SATURDAY MAY 12, 11:30 AM - 1 PM. Spacious 2 bedroom corner unit featuring an open floor plan, very functional kitchen with convenient breakfast bar, living room with cozy fireplace and wall of windows for lots of natural light. Covered corner balcony – perfect for entertaining! Bright Master with walk-in closet and large ensuite. Enjoy the amazing amenities including fully equipped fitness centre, lounge with kitchen, bar and pool table, meeting room, hotel-style guest suite plus expansive terrace with play area. Great location! Walk to Skytrain! Close to parks, shopping and restaurants. Short drive to shops and services of Kingsway and Metrotown. I have sold a property at 213 7139 18TH AVE in Burnaby. I have listed a new property at 213 7139 18TH AVE in Burnaby. Please visit our Open House at 213 7139 18TH AVE in Burnaby. Please visit our Open House at 45 7179 18TH AVE in Burnaby. I have sold a property at 218 7139 18TH AVE in Burnaby. This private condo is facing the courtyard and is nestled away from the view of any other units. This 2 bed open plan unit is located in the beautifully maintained “Crystal Gate” complex and features rainscreen tech. It offers an open kitchen with gorgeous backsplash tiles and newer stainless steel appliances. The spacious living room has a built in gas fireplace and sliding door to private fully covered balcony (perfect for summer BBQ). There is a large insuite front load washer/dryer and cabinets for storage. The complex has recently redone common area carpet and new roofing coming soon (seller paid already). Included: one underground parking space, a storage locker, recreation and games room. Walk to Edmonds Skytrain, shopping, schools and parkland. Pet friendly. I have listed a new property at 45 7179 18TH AVE in Burnaby. This is it! The rarely available Canford Corner, located on a beautiful, quiet street in Burnaby offers this 1 bedroom, 1 bathroom condo. This amazing home is located within steps of Edmonds Skytrain Station, without any traffic noise. Beautiful kitchen and bathroom, open floor plan design gives maximum sense of space. This highly coveted home has been well cared for by the current owner and the complex is extremely well run, all you need to do is move in!!! 1st viewings Friday 1-3pm and Saturday 1-3pm!! I have listed a new property at 218 7139 18TH AVE in Burnaby. Please visit our Open House at 218 7139 18TH AVE in Burnaby. I have sold a property at 7575 CANADA WAY in Burnaby. Please visit our Open House at 7575 CANADA WAY in Burnaby. I have listed a new property at 7575 CANADA WAY in Burnaby. I have sold a property at 7430 BRITTON ST in Burnaby. Land Value - For possible re-zoning as part of Edmonds Town Centre Development - Long Term Tenant - Currently paying $950. Will stay as long as investor requires. Phase 1 Environmental Study being performed - House Sold " As Is Where Is" executors never occupied therefore, if buyer is concerned they should perform testing on home. I have sold a property at 1608 7088 18TH AVE in Burnaby. BRIGHT 2 bed, 2 bath CORNER UNIT at the prestigious "Park 360" built by Cressey, Beautiful 180 DEGREE VIEW from the large balcony. This open layout features a gourmet kitchen with gas cooktop, granite countertops, S/S appliances, built-in microwave and much more. 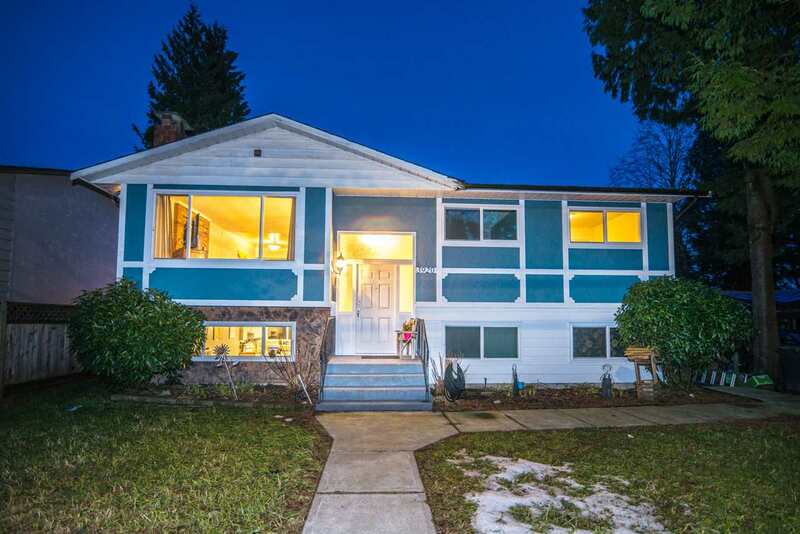 Close to Edmonds Skytrain, HighGate Mall, Edmonds Community Center and all levels of school. The building features a GYM, SAUNA, HOT TUB and GAMES LOUNGE. This suite comes with 1 PARKING + 1 STORAGE LOCKER. Pets allowed w/ restrictions and Rentals allowed. Great central location. Only a 20 min skytrain ride to downtown Vancouver. Please visit our Open House at 201 7428 19TH AVE in Burnaby.